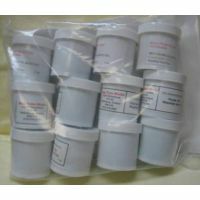 Includes 12 Pro Chem dyes plus the colour chart. The Dyes are Golden Pear, Maple Sugar, Spiced Pumpkin, Wine Rose, Paprika, Slate Blue, Mocha Chino, Clary, Charcoal Grey, Grasshopper, Blue Spruce, and Purple. 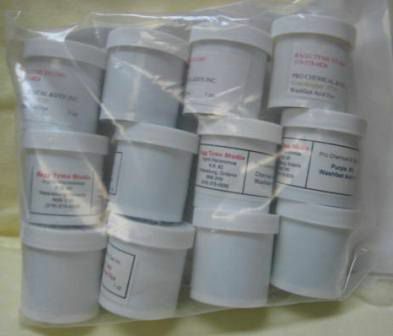 Each container has 1 ounce of dye.